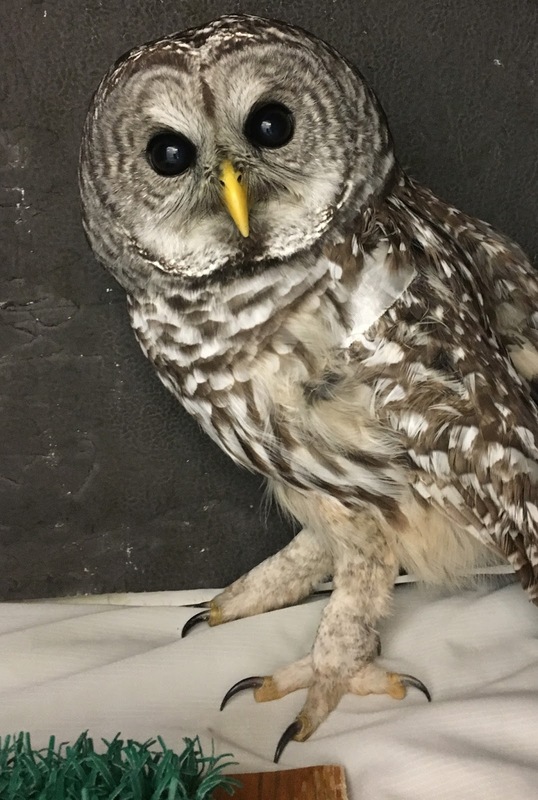 This barred owl patient, admitted to our clinic from Rogers, MN, is case number 16-915. That is significant because it means that this bird “broke” our record for most wild raptor patients admitted in one year to our clinic. The record was set in 2013 at 914 patients. 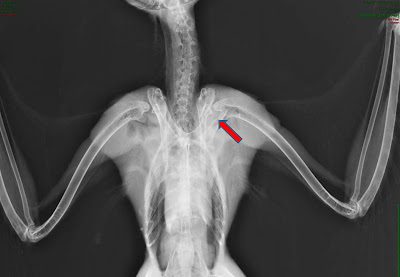 You can see the coracoid fracture at the arrow mark. This is one lucky bird since TRC’s clinic staff has extensive experience with injuries such as this. More often than not, immobilizing the wing and giving supportive care while the injury heals has been successful. This is one of the few fractures in wild birds that actually have better outcomes without surgery. The Raptor Center depends on public support to continue work such as this. We anticipate many more sick and injured patients to arrive in our clinic as the winter season approaches. Can we depend on you to help us be there? You can give a gift here.